Vodafone is one of the worlds largest Mobile telecommunications groups. 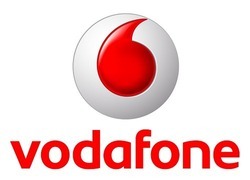 Vodafone was first established in 1985 in the United Kingdom and now boasts over 500 million users worldwide. Having a large share of the market can be attributed to three of Vodafone growth engines: group mobile data growth, group broadband net adds, service revenue growth. The telemarketer focuses on production cost reduction in order to generate revenue. Profit margins are further subject to increase due to large research into new telecommunications technologies. Vodafone uses this strategy to ensure long-term expotential growth and increasing dividend returns to its shareholders.